Katie Brenner is trying to make it in London. She works in branding for Demeter Farlowe, the boss who’s life Katie would love to have. As she struggles with daily living, Katie turns to Instagram that presents not-as-it-seems images of her everyday life. She manages to discover a possible new romance while attempting to move up the ladder in her job when Demeter fires her. Not sure of what to do, Katie returns home to Somerset where her Dad and Step Mom have started a glamping site on the farm she grew up on. Claiming to be on sabbatical from her job so her parents won’t find out she’s been fired the unexpected happens, Demeter shows up with her perfect family for holiday at the Brenner’s farm. 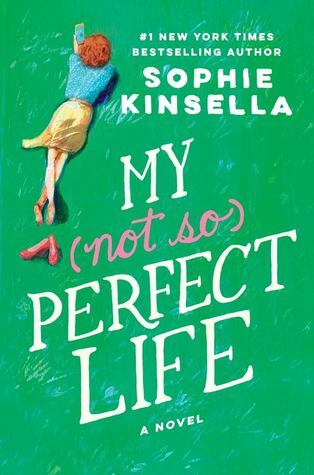 I wrote this in my What I Read in April 2017 post, but I’ve never read a Sophie Kinsella book before. This has more to do with the fact that I’m not generally drawn to the world of Chick lit and therefore don’t tend to browse that part of a bookstore, but if you judge a book by its cover as I do then you might understand why I couldn’t pass over My (Not So) Perfect Life. Right off the bat I’m going to state the obvious about a Chick lit book: it’s cute and there’s romance. Now that that is out of the way let’s break down my thoughts on the novel. First, I liked the character of Katie Brenner. She’s relatable, funny, and smart. In the beginning of the book in part one when Katie is first in London, she goes by Cat and tries to establish herself as a true Londoner. She presents herself in a less than true version of who she is, and in a world of social media over-saturating everything we do Katie isn’t too far removed from the real world. I mean who hasn’t posted an alternate version of themselves on Instagram to appear they have it all together and then some. Her transition from life in London to being back home also gives her character growth. When Katie goes back to Somerset you can see her mature in a positive way which I liked. My second thought about the book is that the romance doesn’t over do it but comes across nicely without moving too quickly. I like slower moving romantic plots then the they-met-and-now-they-are-already-in-love types. And lastly the humor in My (Not So) Perfect Life was actually funny and had me laughing out loud at times. I liked this novel and it’s made me want to pick up a different book by Sophie Kinsella. So if anything I’ve gained a new author who’s writing style I like, and sometimes that is not always easy. Finn and four other teens are picked as DHIs, or Disney Host interactives and Daylight Hologram Imaging, for Walt Disney World. During the day their holograms guide guests around the Magic Kingdom, but at night time Finn and the others discover that they are transported to the park at night as their holograms and find out that everything there seems to come alive. They learn through the Imagineer Wayne that they were picked as DHIs to help defeat the Overtakers, who not only want to take over the Disney parks but also the real world. Excuse my poor attempt at summarizing Disney After Dark but it took me about 8 to 9 months to read the book so I had to reread the back cover to fill in the holes of the story line I couldn’t completely remember. 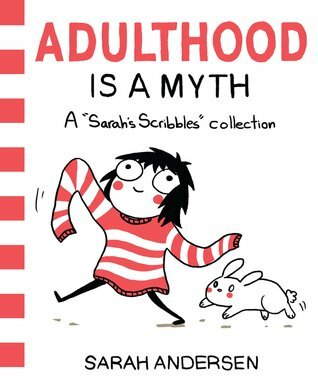 And by the first sentence you may already be able to tell that I didn’t love this book because it took me too long to read something meant for 11 to 13 year olds. I initially bought Disney After Dark while I was planning my Disney World trip last year. 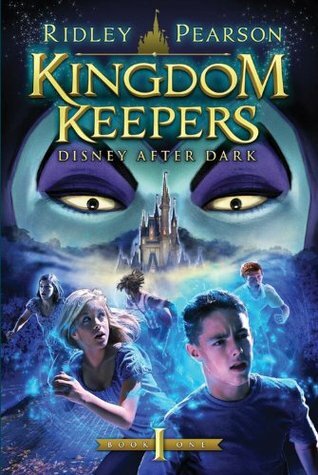 As I was planning my vacation I would watch tons of Disney vloggers on YouTube to get an idea of things to do at Disney, and noticed that a few them would mention the Kingdom Keepers Series as books they liked to read that were set in the parks. Now mind you most of the people who suggested these books were around my age so between 25 to 30. I figured if they read the book and liked it then I should try it too. Well the main issue I had with Disney After Dark isn’t that it was too young for me but rather that the characters were too young for the author. Now I don’t know how old Ridley Pearson is nor do I know if he has any kids, though I do imagine the latter part is true; but I do know that his perception of how the average 13 year old speaks and/or interact with each other distracted me through out this entire book because of how off it felt. Now I’m nearly 28 (only a month away. Yikes!) so I haven’t been 13 for almost 15 years now and I don’t work in a setting with teens nor do I have kids but I can state with confidence that the 5 DHIs in Disney After Dark isn’t an example of who 13 years old are. I mean it can’t be because I don’t believe anyone’s talked this way since at least 1999. I do want to add that I didn’t hate Disney After Dark (After I devoted a lengthy paragraph about the characters), it is a cute book with adventure and is set in the Magic Kingdom. As someone who loves Disney I enjoyed that the books main focus is on all things Disney. I enjoyed this fact so much that I’m probably going to attempt to finish the series even though I am prepared to cringe through all the dialogue along the way. Is there a book series that you continued to read even though the first book in the series wasn’t fantastic? Did you end up liking the other books? Let me know in the comments below. 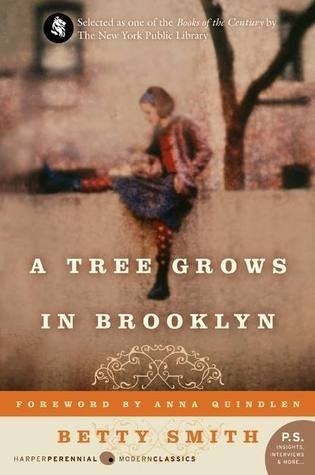 A Tree Grows in Brooklyn has been sitting in my Kindle Library for a couple of years now. And if I’m honest, I often forget I own this book until I see it on my want to read list on Goodreads. 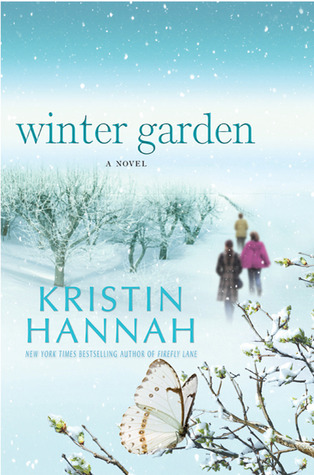 I figured if I made it a post on my TBR Thursday tag then that might persuade me to read it sooner. Instead what I find myself wanting to do is create a list of all the classics I need to read or reread at some point. So I’m adding to my TBR list rather than making it shorter, but I’ll make sure to place A Tree Grows in Brooklyn on the top. Anyone have any classic books they love that they would like to suggest for my list? I’d love to read them in the comments below. For the month of April I was able to finish five books. This is the most books I’ve read in a long time, so expect some more full reviews in the future! As you can see I had a bit of a theme this month with two books focused on Disney World. I’ve really been wanting to plan a second trip lately and decided that perhaps reading about the parks could fulfill my need to be there. 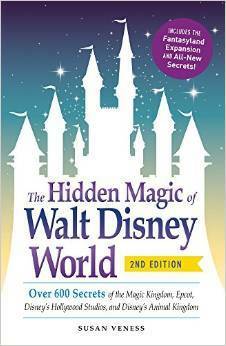 I’m planning to fully review both the first Kingdom Keepers book and The Hidden Magic of Walt Disney World soon. 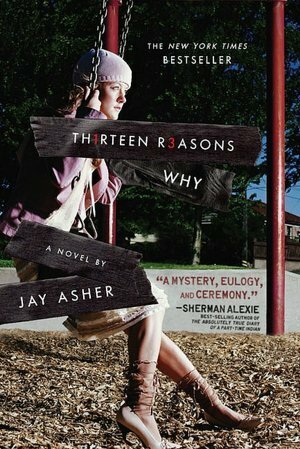 I think for obvious reasons I decide to pick up and read Thirteen Reasons Why because of the hype the series has been getting. I actually picked this book up during a massive haul I did at Book Outlet and got it for less than $5, so I couldn’t pass up that opportunity either. I enjoyed the book and have just started the series which is far more detailed than the book; so this might be a very rare case were I like the TV show better than the novel. My favorite book I read this month is My (not so) Perfect Life. It was exactly what I was looking for and craving to read lately. I’ve never read Sophie Kinsella before but I know a lot of people like her and I’d like to read something else of her’s again soon. If you have a favorite Sophie Kinsella book please comment below, I’d love to check it out!